Dr Nataliya Kushnir received her medical degree with Honors from the European Medical School (Russia) at the age of 21 (youngest medical student). She moved to the US to continue her studies and medical research at Stanford. Later she confirmed her degree of the Medical Doctor in the US and completed Residency training by 2002. She received Allergy-Immunology subspecialist title at the National Institutes of Health in Bethesda, MD and Walter Reed Army Medical Center, Washington, DC. During the next 3 years she stayed as Junior Investigator conducting multiple studies at the National Institute of Allergy and Infectious Diseases. Since medical school she was curious of how brain can influence the body and affect health. Her cutting-edge research provided the first true evidence that brain hormone serotonin has powerful influence over allergy cells (mast cells). During the 3 years as Clinical Investigator she was also consulting patients with rare genetic disorders and became and expert in diagnosis and management of Mastocytosis. Dr Kushnir published 10 papers in the major clinical and scientific journals, wrote a chapter in medical textbook, presented at more than 20 national and international conferences. 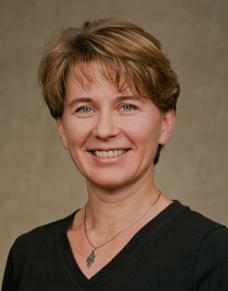 She is invited speaker at the major specialty conferences. She is dedicated community educator – she gives free lectures at the local hospitals and schools. Most recent web publication in WebMD describes Rhinitis induced by medicines. Her deepest passion is the patient care. Her main goal is to implement all her unique knowledge of science, as well as combination of European and American medicine into state-of-art diagnosis and treatment. She was practicing Allergy and Immunology for 2 years with the large Allergy and Asthma Group of the Bay Area in transition to her solo practice. She is a proud Patient’s choice award of 2008-2010 recipient. I am a scientist in mind and a doctor in my heart. I have been trained to the highest standards of the academic medicine and research and committed to deliver best science of clinical medicine to the community. I am a big believer in power of education and teach my patients everything I know. After all these years of medical studies I have learned the best practices of the diagnosis and treatment of Eastern and Western Medicine and merged them into a unique style and vision of my own. I follow the canons and traditions that started with Hippocrates. Modern science of medicine provides us with the best discoveries and technology, yet it becomes nothing without personal touch and humanitarianism. Observe and listen – simple and yet essential rules of making the diagnosis. I do not look into computer screen and only briefly write – by the time I am done talking to my patients I usually know the diagnosis. 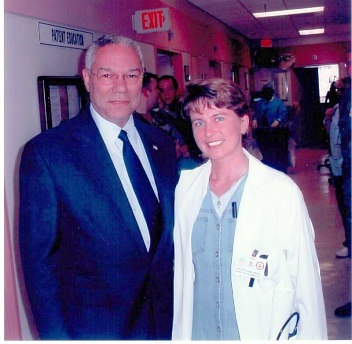 I never dismiss complaints – I feel that if my patient talks about issues – they do exist. Thorough but mindful – I order tests only when I need to confirm diagnosis. I do not believe in extensive and unnecessary testing – it creates more anxiety and brings little information. Simplicity and balance – those are two things that guide me in any treatment recommendations. If I can do it – my patients can do it. Disease can be viewed as an out-of-balance condition, and the treatment should directed toward achieving health – state of balanced functioning. Learn and teach – that is my job. As simple as it sounds – it is one of the biggest challenges that I face – in our modern world it is hard to coach my patients on the right choices. That work of reviewing hundreds of articles, books, websites and other sources is sometimes harder then following specialty medical news. I need to make sure that each of my recommendations is supported by studies and solid expertise. The job of my patients is also hard – they must comply with my recommendations and regimen. Our jobs a happy when the effort are combined – is is my greatest reward when my patients become healthy again. Earth bound – humans are a part of biosphere which has its own laws of existence. Even in a modern world we cannot forget about it. We actually should be more conscious about that now. We start understanding that the way we act with nature gets us back, sometimes in an ugly way. Global climate change is just the most visible result of our careless behaviors. As allergists we observe an unusual increase in allergies and asthma dated back only to 20th century since we started utilizing “modern” necessities and conveniences – polyesters, resins, parabens, polymers, sulfates etc. I believe while creating modern life style we are destroying our immune system from inside and outside – chemicals in the water, food, antibacterial soaps, air pollution. Allergy is not a disease of its own – it is a result of the hyperreaction of immune system overwhelmed with massive intrusion of unnatural foreign particles. The role of decongestants, cromolyn, guafenesin, saline washes, capsaicin, leukotriene antagonists, and other treatments on rhinitis. Kushnir NM. 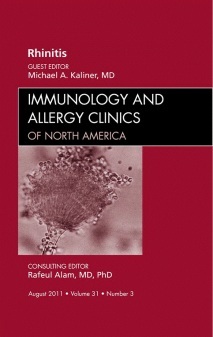 Immunol Allergy Clin North Am. 2011 Aug;31(3):601-17. Bone marrow stromal cells inhibit mast cell function via a COX2-dependent mechanism. Brown JM, Nemeth K, Kushnir-Sukhov NM, Metcalfe DD, Mezey E.
Clin Exp Allergy. 2011 Apr;41(4):526-34 Epub 2011 Jan 24. Clinical correlates of blood serotonin levels in patients with mastocytosis. Kushnir-Sukhov NM, Brittain E, Scott L, Metcalfe DD. Effects of gamma radiation on FcepsilonRI and TLR-mediated mast cell activation. Soule BP, Brown JM, Kushnir-Sukhov NM, Simone NL, Mitchell JB, Metcalfe DD. Demonstration of an aberrant mast-cell population with clonal markers in a subset of patients with “idiopathic” anaphylaxis. Akin C, Scott LM, Kocabas CN, Kushnir-Sukhov N, Brittain E, Noel P, Metcalfe DD. Human mast cells are capable of serotonin synthesis and release. Kushnir-Sukhov NM, Brown JM, Wu Y, Kirshenbaum A, Metcalfe DD. 5-hydroxytryptamine induces mast cell adhesion and migration. Kushnir-Sukhov NM, Gilfillan AM, Coleman JW, Brown JM, Bruening S, Toth M, Metcalfe DD. Silica-directed mast cell activation is enhanced by scavenger receptors. Brown JM, Swindle EJ, Kushnir-Sukhov NM, Holian A, Metcalfe DD. Elevated tryptase levels are associated with greater bone density in a cohort of patients with mastocytosis. Kushnir-Sukhov NM, Brittain E, Reynolds JC, Akin C, Metcalfe DD. Increase in extracellular glutatione peroxidase in plasma and lungs of mice exposed to hyperoxia. Kim KK, Whitin JC, Sukhova NM, Cohen HJ. Sukhova NM, G. Okolenova and V. Platonova. Infrared laser therapy for respiratory diseases in children 1993. Actual Problems of Medicine Anniversary Edition of Voronezh Medical School Scientific Publications. Allergy and Immunology Clinic of East Bay provides information of a general nature about the practice and conditions requiring the services of an allergist thus it is not engaged in rendering surgical or medical advice or recommendations via this website. Any information published on this web site should not be considered a substitute for consultation with your physician.